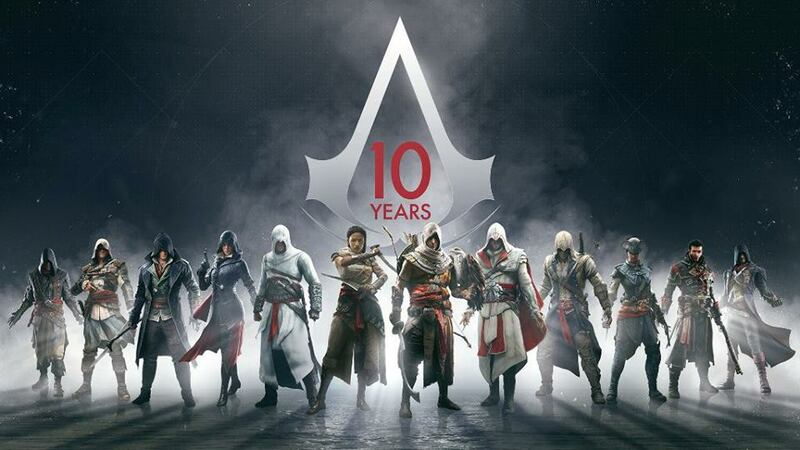 Learn about how the 10 year anniversary of the Assassin's Creed Franchise is being celebrated around the world. Ubisoft released an updated Assassin's Creed Character image, featuring Bayek from AC Origins! Four more images were also released, including a Character Image featuring Aya. Ubisoft commissioned artist Dino Tomic to create an Assassin's Creed image out of salt! Bioworld released two special t-shirts to mark the occasion. 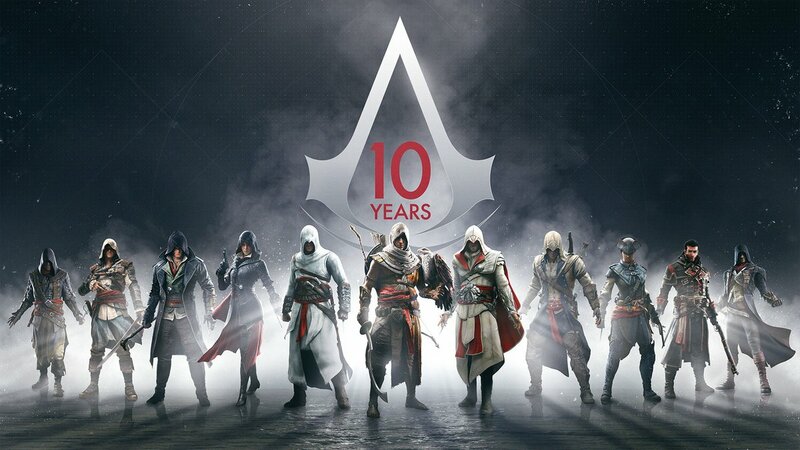 "Celebrate your love and passion for the Assassin's Creed franchise with this amazing 10-Year Anniversary Commemorative T-Shirt. 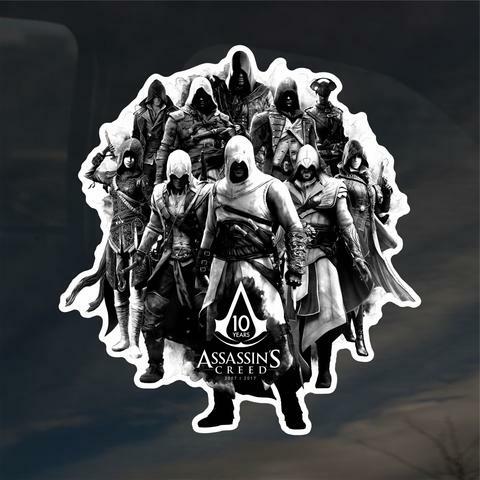 Featuring a front design sporting all the logo's from the history of this popular series, whilst the reverse displays the names of all the main protagonists from across all the Assassin's Creed games." A 10 year edition T-shirt was spotted in Primark. 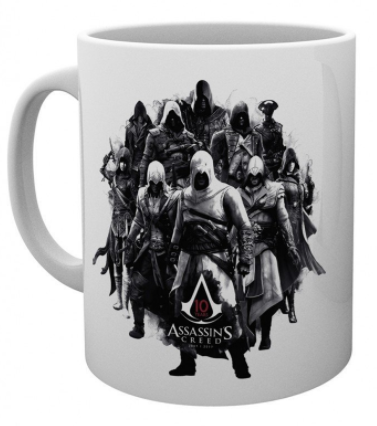 GB Posters released a 10 year edition mug. BPR Gaming put together a video to mark the occasion. 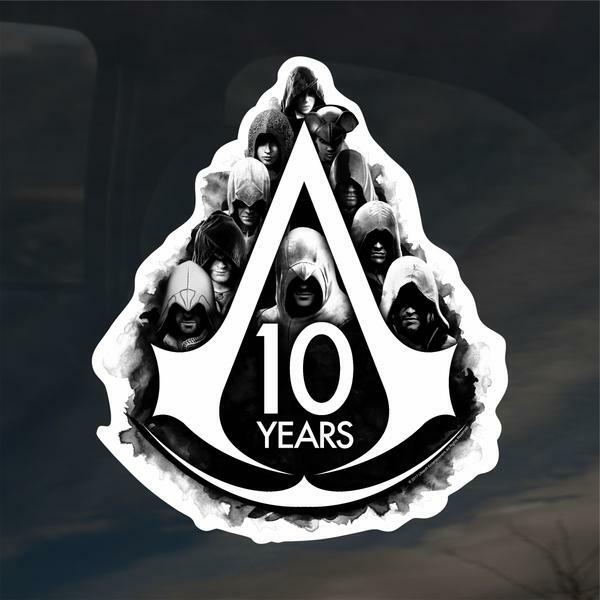 Release of Assassin's Creed: Reflections. To mark 10 glorious year of Assassin’s Creed, Titan Comics are bringing together the franchise’s best-loved characters for a celebratory series like no other! Get ready for four brand new adventures starring fan favorite Assassins like Edward Kenway and Altair, along with the series’ celebrated Renaissance roof-crawler, Ezio Auditore de Firenze! Four-part mini series written by Ian Edginton and illustrated by Valeria Favoccia! 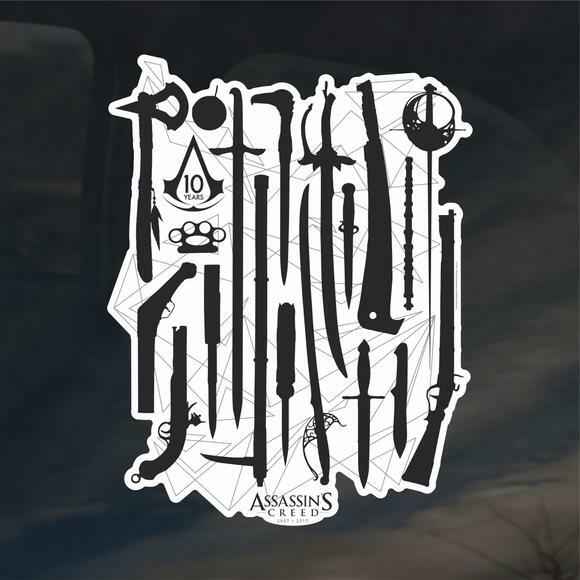 We collected stories from the Assassin's Creed Community! 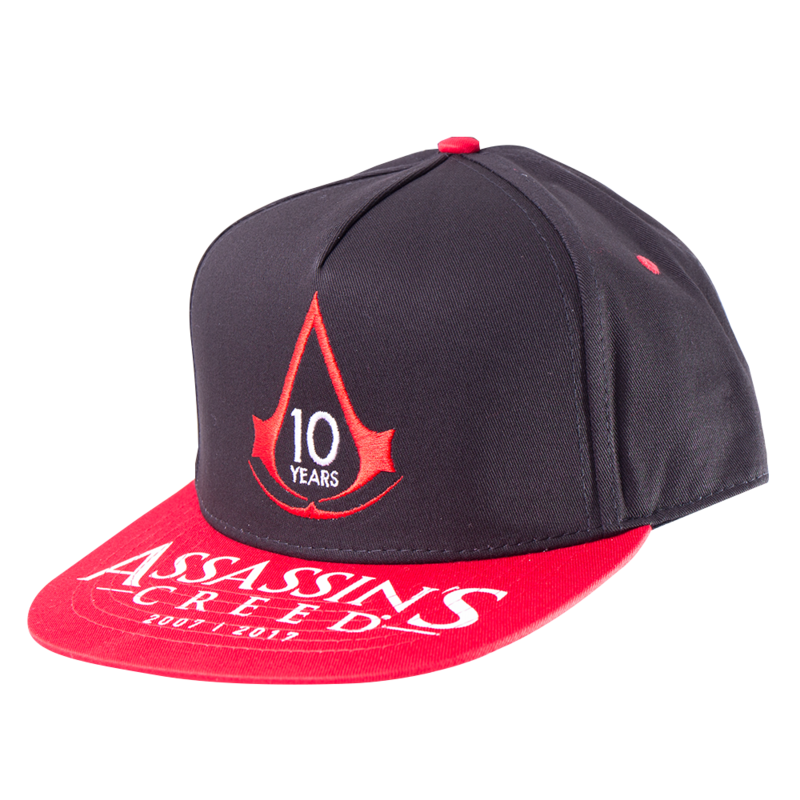 Zing Pop Culture have listed a 10 year anniversary Assassin's Creed snapback! 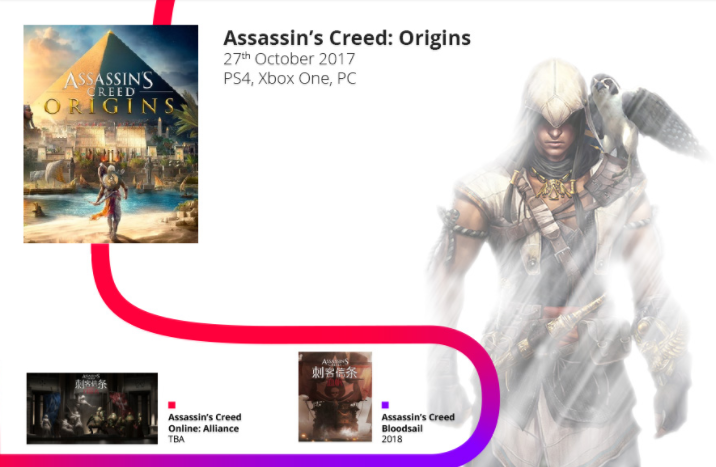 IGDB created an image showing every game in the Assassin's Creed Franchise. Decalcomania released a range of Ten Year Anniversary Stickers. Product Marketing Manager Andrien Gbinigie revealed an upcoming range of collectible pins.